Durham Constabulary is asking visitors to the Northumberland coast to keep an eye out for missing mum Carol Door, who was last seen at her County Durham home on Monday. Earlier in the week there were several unconfirmed sightings of Carol in the Whitley Bay area, although police are keeping an open mind as to her whereabouts. The 42-year-old was last seen on the morning of Monday, February 11, leaving her home in Frank Avenue, Deneside, Seaham. Officers issued a fresh appeal in the hope of finding Carol over the weekend and have made another push for information today, as the one-week anniversary of her disappearance is marked. 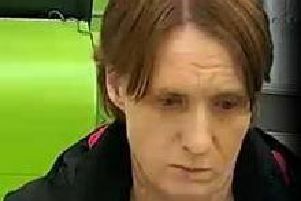 Carol is described as being white, 5ft 7in tall, with short, dark brown hair. She was wearing a long black coat, blue jeggings with a white woolly hat and was carrying a black over the shoulder handbag.